The Angels In the Details! 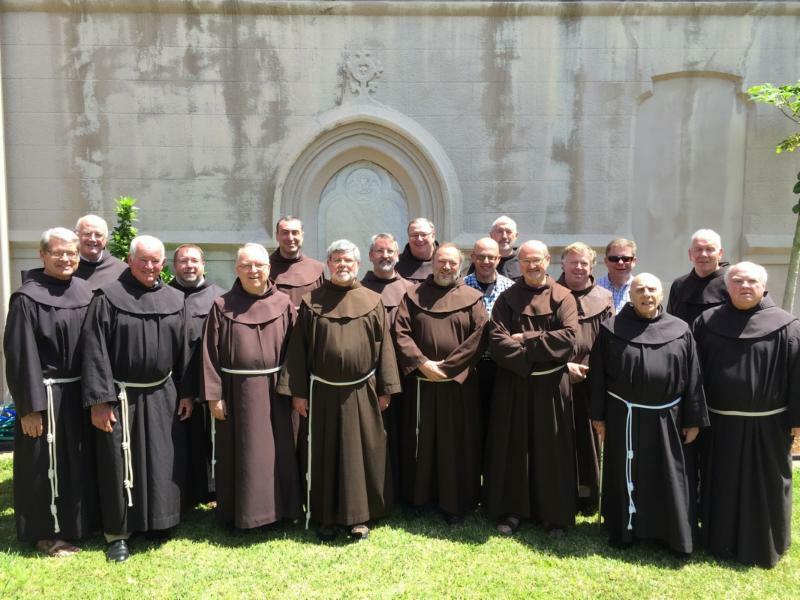 It has often been said that “the devil is in the details.” But if this recent two-day gathering of a number of friars (including the entire Definitorium) and lay administrators is any indication, the angels are in the details as well. Even more so, actually. The “angels” in this case were the 35-odd participants, representing many of the 19 institutions affiliated with the Province of St. Barbara. 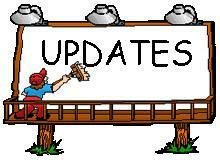 The “details” which they were asked to consider are anything but minor adjustments. 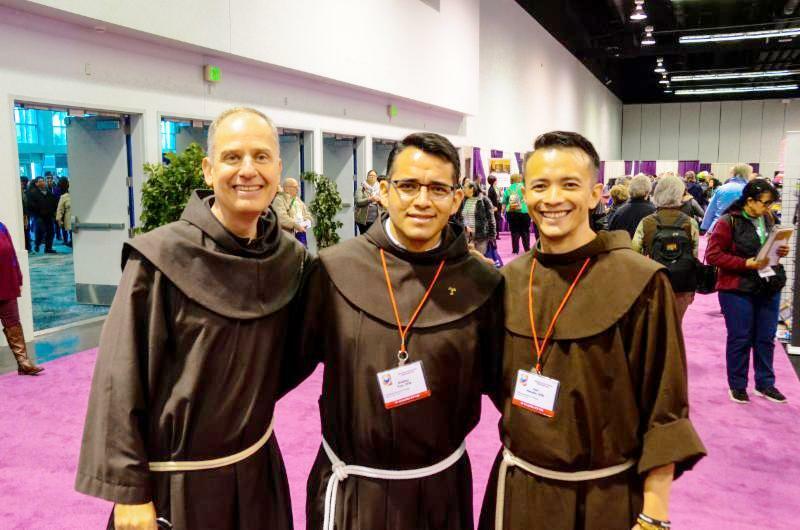 On the contrary, they represent important efforts to reform our corporate structures, streamline operations, ensure shared responsibilities, and further our Franciscan charism. The Board/Staff were anything but Bored/Stiff. 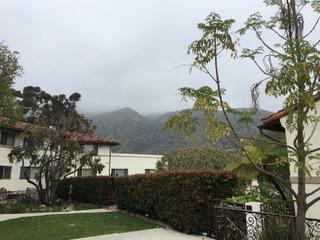 Organized by the Province’s Board Development Committee (headed by our host, former Provincial Minister Friar Mel Jurisich as well as Board representatives Barry Stenger and Joe Atteridge), this post-Easter meeting at Serra Retreat in Malibu was convened to reflect upon work done to date to meet the strategic goal emerging from Chapter 2016 to “continue to deepen the relationship with the various Boards of Directors of Province ministries and their Trustees.” The agenda focused, then, on the work which has been done to date as well tasks which remain. 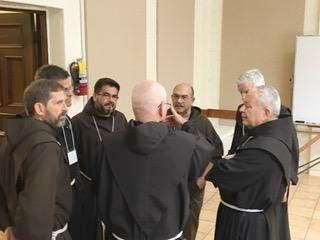 These efforts include the development of a shared Ministerial Vision Statement; the appointment of a friar trustee delegate to each major institution; and, significantly, the development of the Poverello Initiative to help disseminate the Franciscan charism at every level in our institutions. 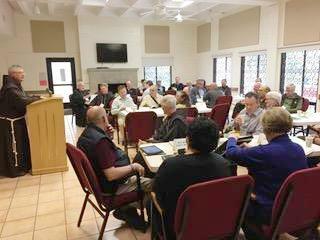 An informal check-in followed Mel’s remarks as representatives of each of the participating institutions ( retreat centers, the St. Anthony Foundation, St. Francis Center, the Franciscan Renewal Center, etc.) shared briefly about their major successes as well as challenges. The remarks were candid and to the point. 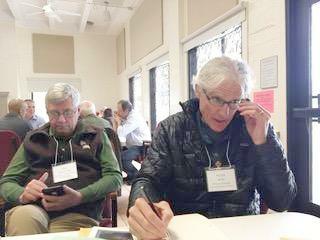 There was a shared recognition of the rapidly shifting landscape of organized religion in the United States: “We are experiencing a real tsunami in (the emergence of) an entire generation of people who do not connect with organized religion,” cited one participant. 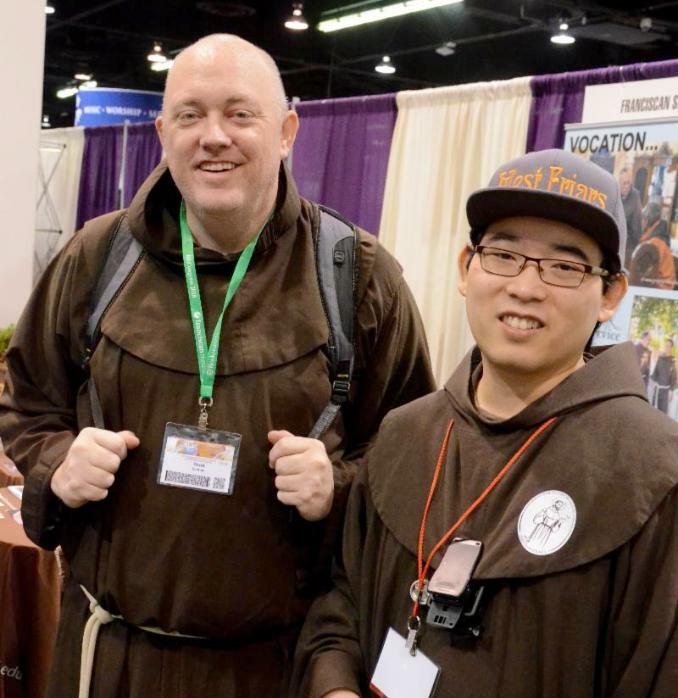 Coupled with this, several others noted the shifting circumstances of the Franciscan friars themselves as we face the reality of aging members and the decline in vocations. On just one more “detailed” note, George Dooley, financial consultant to the Provincial Office, announced the rollout of a new template of ‘universal’ bylaws available for adoption/ adaptation by participating institutions. These are intended to streamline internal norms as well as to clarify inter-institutional relationships. It’s the kind of mind-numbing grunt work that is at the same time vital to an organization. As George remarked, “As I read all of the bylaws for all of our organizations, I started with Cabernet and moved on to tequila!” Sometimes bedeviled, our good angels are, nevertheless, hard at work-- in the details. In closing, David told a story about his conversation with a former vocations director of the Province. “I asked him what he was looking for most in a candidate when he met them. And he told me, ‘I look for the joy in their faces and in their lives. 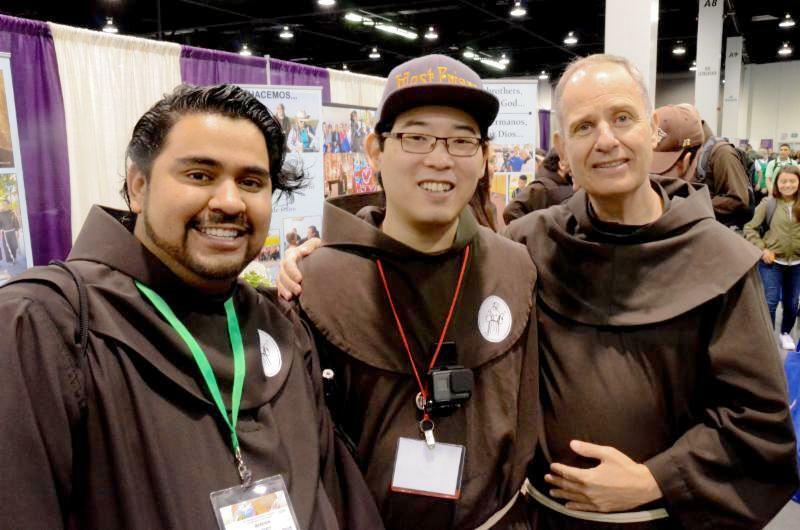 Joy is such an important value to us Franciscans.’” To the list of values already articulated at the meeting, David made sure to remind us to remember that one ‘angelic’ (and consummately Franciscan) detail: joy ! 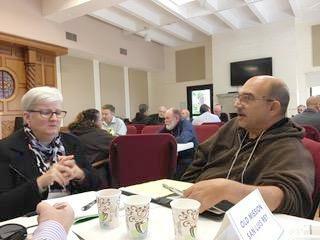 Former Provincial Minister Joe Chinnici provided the requisite intellectual ballast and gravitas for the event by offering a conceptual framework and process for us to understand more fully the challenges all of us as Franciscans face in a rapidly changing social landscape. In an overarching “definition of the situation,” he addressed in his April 5 remarks the need for mission integration in the face of actual mission incoherence in our lives and institutions. “In the United States today, because of its market assumptions and its focus on consumption, religion is publicly muted. The evangelical voice, so coherent with market forces in the Gospel of prosperity and so coherent with consumerism in its focus on individual choice, is the strongest public voice for religion. This is to the society’s advantage. Religion has purposely been commodified and has been privatized for personal uplift: ‘Looking for peace in a busy world? 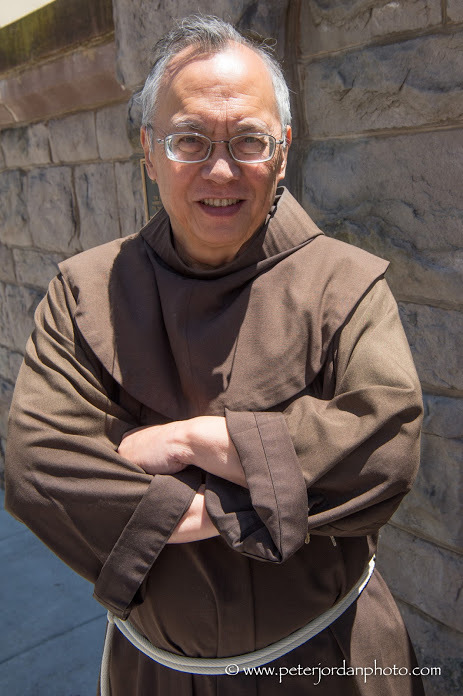 –Let me go to a Franciscan retreat centers!’ “Looking for healing?” “Let me go to a spiritual place.” We can in this situation speak a social voice, as we do, but the sound is muted and the message privatized, without broader social consequences. . . . 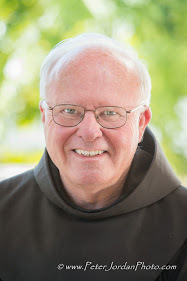 When asked about when we achieve complete mission integration, Joe responded: “The only true mission coherence is in heaven but ut we need to ‘name’ things”—to identify the fault lines in our efforts and organizations and the ways in which we can overcome them.” Joe pointed to the lives and work of such friars as Alfred Boeddeker, Owen DaSilva, and Kenan Osborne as examples of men of both charisma and vision whose efforts, in an atmosphere of ‘mission incoherence’ were initially disavowed, even by the friars themselves. Our institutions grew up in isolation from each other on a horizontal level. Now we have an opportunity to address this situation. But we will not overcome the incoherence easily. It is so tempting to fall back into old patterns. We have to look at the ‘wavy’ nature of things that can change at any moment and work for a local coherence and a horizontal coherence in relationships that are not subject to the whims of others.” He went on to stress the importance of institutional leaders learning from each other on an ongoing basis—“We don’t know what each other does.” Joe emphasized the need for a shared Franciscan mission identity with friars and lay people working together. 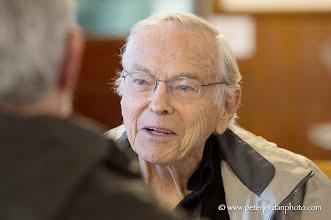 He structured his remarks around the value of fraternitas, remarking that we need “to admit our need for each other, both our gifts and our poverty and thirst together. . . We need to articulate a faith vision, a participation in the Risen Christ that enables us both to share our resources with power and admit together our need for each other. At the center of our mission is the power of Christ.” For a more complete outline summary of Joe’s remarks, click here. With 15 entities, 11 in the U.S. and Canada, and 4 in Europe (Ireland, Lithuania, Malta & the U.K.), the ESC is the only conference organized by language and not geography. This report speaks of broad trends in the 6 ESC countries, noting distinct realities in some of them. A. Changes in Society – Accelerating social change, for worse and better, frames our cultural reality. Like Francis of Assisi in his time, we are in the midst of enormous cultural, demographic, economic, political, technological and religious changes. These changes are often manipulated by ever more powerful groups of “ majores” overpowering “ minores” who include women, people of color, immigrants, and many simply labeled “other.” Social values once foundational to our sense of identity and community are slipping away, if not being deliberately eroded. Some social norms are growing more enlightened; e.g., the gender-determined worth of human beings is being replaced by greater gender equality; while other norms are capriciously manipulated by means of mass communication previously unimagined and with unforeseeable results. Altogether, these dynamics create a sense that society’s institutions and structures are straining to hold us together. Responses range from fear and suspicion to narcissistic individualism by some, while others of good will rededicate themselves to work for a more inclusive, socially just and sustainable society. Immigration and Cultural Diversity – Our societies grapple with increasing cultural diversity, largely driven by immigration from the Global South. Generally, older, more conservative groups resist growing cultural diversity from fear of change or the loss of social dominance, while younger, urban social groups support this change. Approximately 60 million people in the US are immigrants (almost 20% of the population), of whom 10 million have no official documents allowing them to be in the country. Powerful, entrenched forces actively seek to undermine the human rights of all immigrants spreading fear among them with a set of nativist, racist initiatives using deportation to break apart families and foster fear among communities of color, and especially among the young. Mrs. Joan Boegel , the mother of Brother Peter Boegel OFM , died peacefully Monday, April 2, 2018 in Mechanicsburg, Pennsylvania. She was surrounded by her family. She was 89 years old. St. Elizabeth, Oakland. 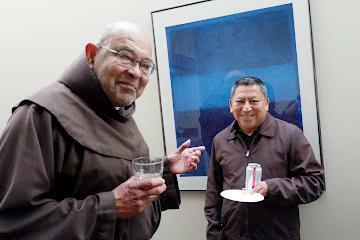 Friars Nghia Phan (c), Luis Guzman (r ). OMSLR. Pastor Vince Mesi with parishioners. St. Elizabeth, Oakland. 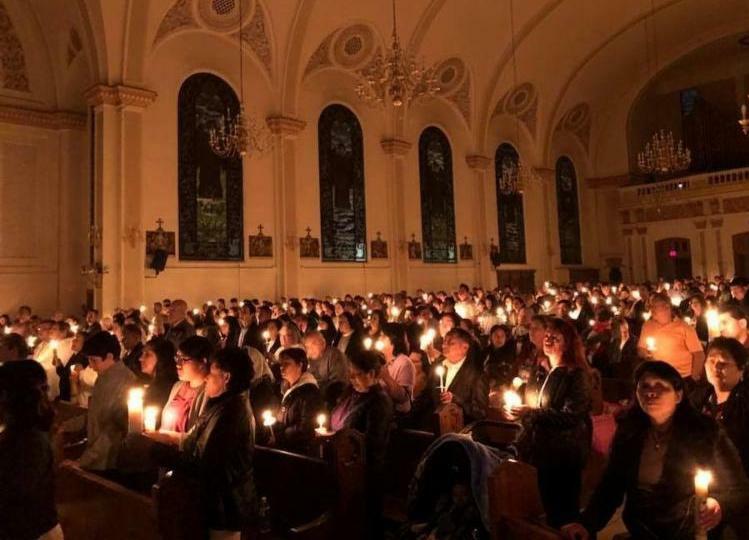 Easter Vigil, 2018. OMSLR. 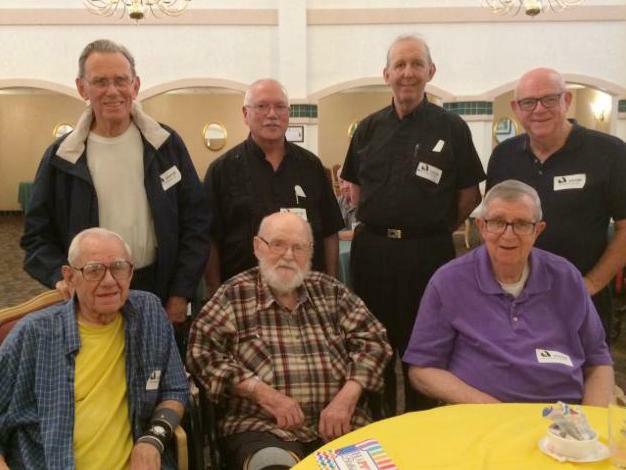 (l to r) Friars Henri Djojo, Mark McPherson, James Swan, Bradley Tuel, Michael Dallmeier. Silver Spring, MD. Friars John Gutierrez (l) and Freddy Rodriguez (r ). Sts Simon & Jude Parish in Huntington Beach is having a Festival of the Arts on the weekend of Pentecost. The grand event will be a musical on the conversions of Francis and Clare, set in modern downtown LA. 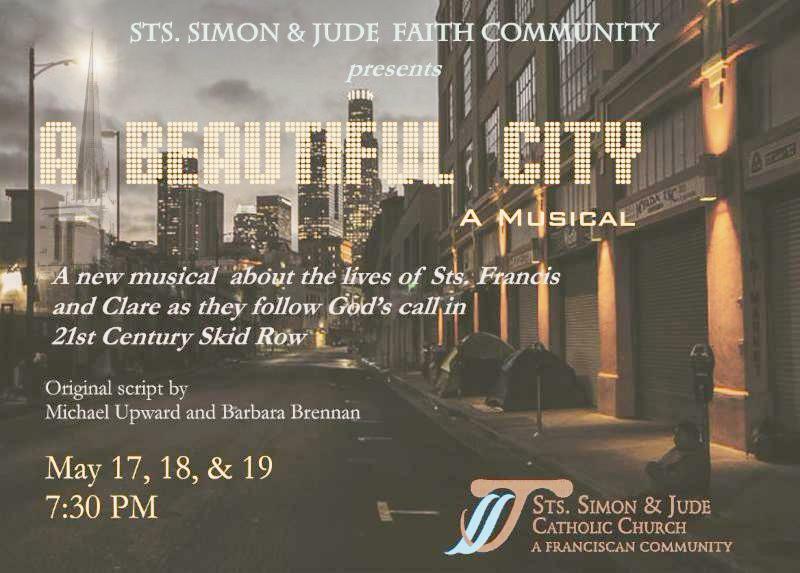 The production is called “Beautiful City” and will tell the story using contemporary music. It will be held on Friday and Saturday nights, May 18 and 19 in the parish church. Friars wearing habits will be admitted free (ticket sales are made to benefit parish renovation projects). Just let Daniel Barica know when you might be coming at dbarica@ssj.org . Thursday night, May 17, will be a dress rehearsal with no charge for admission so that might be another opportunity. ﻿ Photo: “Beautiful City” musical. Photo: Courtesy, SSJ Parish. 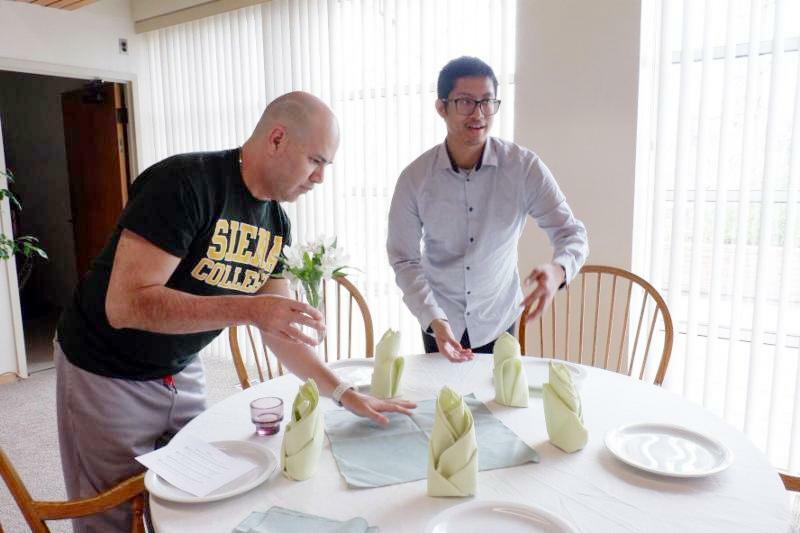 As usual— great job covering our Franciscan news! 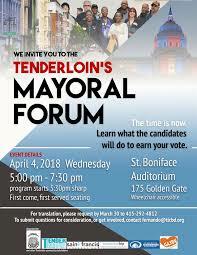 (April 1, 2018 issue). Here I sit in retired comfort at Saint Simon and Jude Friary in Huntington Beach reading about all the great work the friars are doing in the Province and around the world, grateful to be alive and still able to help a little in this fairly large flourishing parish. 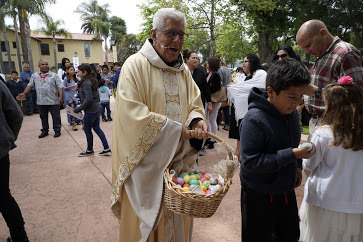 Happy Easter to you and your community. Rise Up! / ¡Levántate! / Hãy Đứng Lên! . 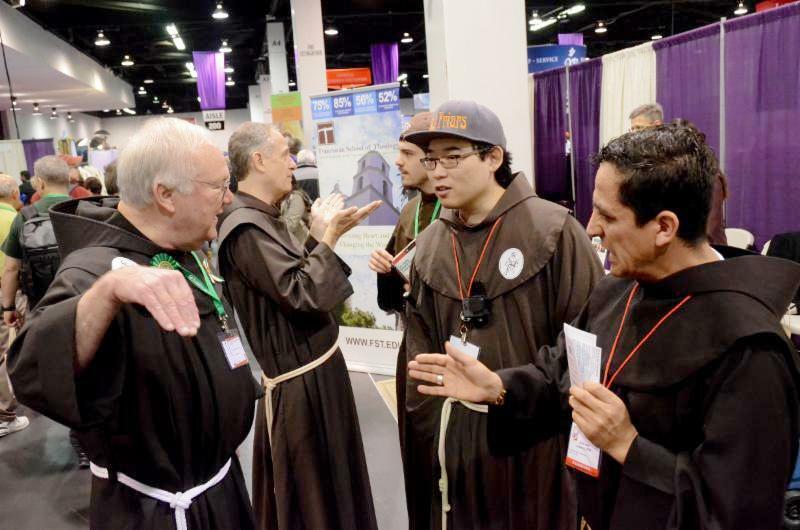 . . was the theme of the 2018 Religious Education Congress in Anaheim which took place March 16-18 at the Convention Center. Once again it was well-attended by approximately 33,000 people, including 243 exhibitors and 334 workshops/speakers. 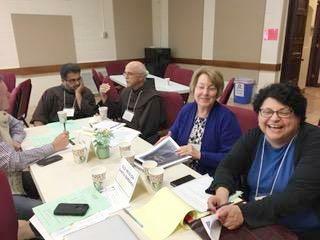 The Franciscan School of Theology (FST) and St. Barbara Province Vocations shared a double booth space. 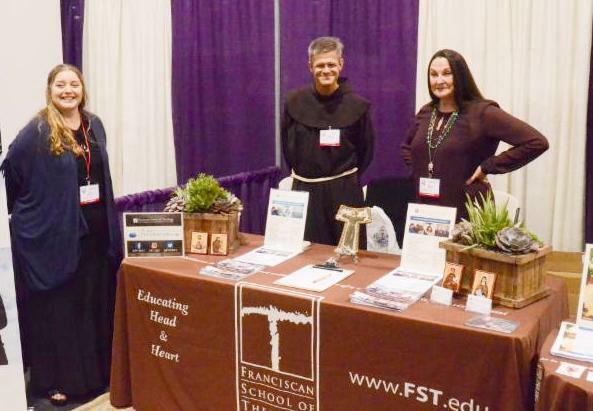 Friar Garrett Galvin, along with Christine Avella and Gigi Betancourt were present at the FST booth, and Friars Oscar Mendez, Zeno Im and myself were at the vocations table with fantastic help from Friars Sam Nasada, Juan Jose Jauregui, Ivan Cortez (J. Serra Prov. ), Tony Luevano, novice; Luis Rosales HNP novice; Michael Lomas, novice; Vincent Nguyen and many other friars. 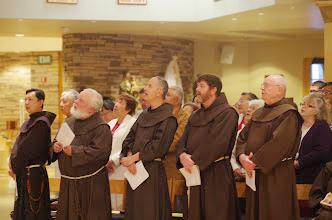 (Above: Friars James Seiffert, Jose Luis Peralta (OLG) Sam Nasada. 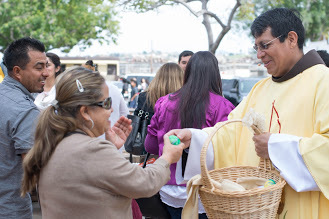 Photo: Frank Jasper, OFM-SJB Province). 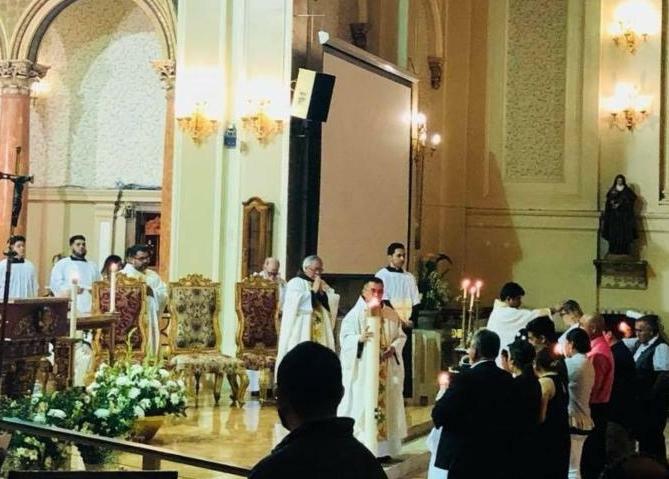 The Saturday night Vietnamese Mass included Friar Rufino Zaragoza as the music director with Father Thinh Pham as the presider. The Casa (FRC, Scottsdale) had an excellent double booth which included a local coffee company which was hugely popular as they were giving out free fresh-brewed samples! Left: Friars Antonio Leuvano, Zeno Im, James Seiffert- Photo: Frank Jasper, OFM-SJB Province). 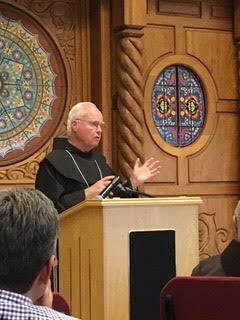 Friar Dan Horan (HNP) gave three talks and Friar William Burton (SHP) gave two talks as well. Many friars, former friars, friends of the friars, discerners and potential grad students stopped by. Next year's dates are March 22-24, 2019. (Right: Friars Larry Gosselin, James Seiffert, Jason Damon (HNP), Zeno Im, Juan Jose Jauregui. Photo: Frank Jasper, OFM-SJB Province). Above: Gigi Betancourt (FST Marketing and Recruitment Coordinator), Garrett Galvin (FST Dean), Christine Avella (FST Recruiter). Photo: Frank Jasper, OFM-SJB Province). 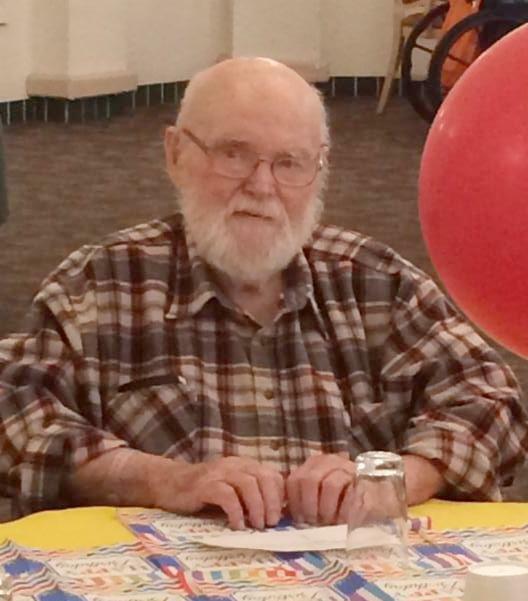 We celebrated Tom’s 87 th birthday at the Life Care Center, Tucson. There was lunch with cake for everyone in dining room. Photos: Courtesy, Friar Max Hottle. OFM.FYI , the bi-weekly newsletter of the Franciscan Friars Province of Saint Barbara, is published on the 1st and 15th of each month. Editor: Charles Talley ofm.